Gmail settings for Outlook are automatic and manual types. It depends on the version of your Outlook program and email service provider server settings. Email accounts should be decided first whether to configure as a local email or make this outlook email available for your other devices. Outlook 2007 is a long obsolete version of Microsoft Office. The outlook was released in the year 2007 with a fluent user interface. As a fluent user interface, it uses ribbons and menu bar which includes tools bar and view formats. In order to configure Outlook 2007 for Gmail, there will be pop3 Gmail settings for outlook 2007 and SMTP settings of Gmail in outlook 2007. 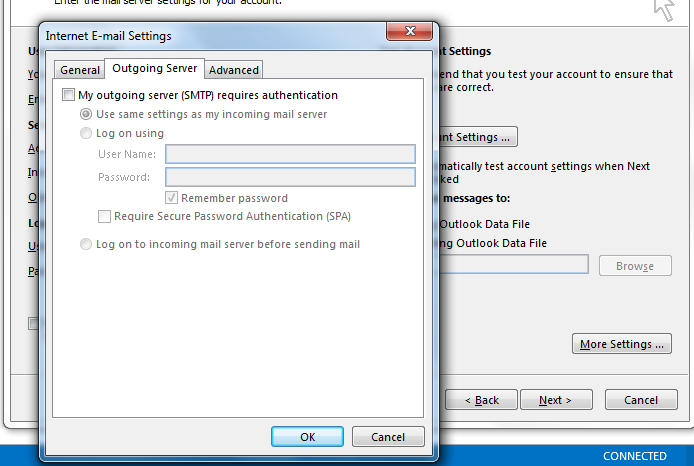 In Outlook, go to Tools and Account Settings. Below the Email, tab clicks New. 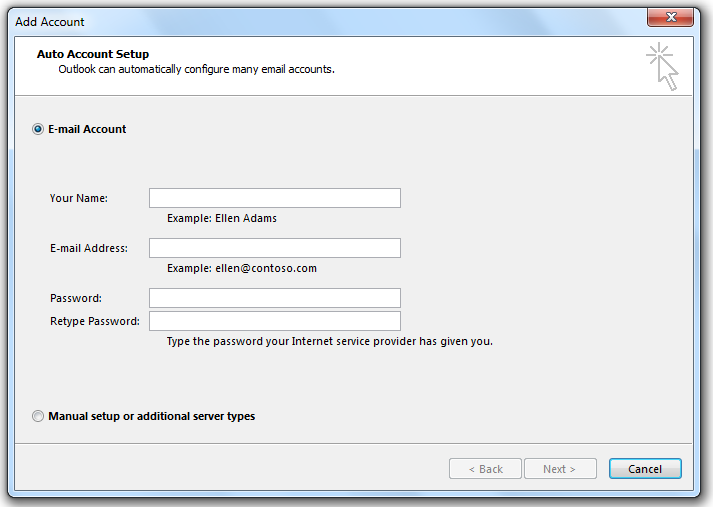 Choose the email service you wish to configure: POP3 or IMAP. 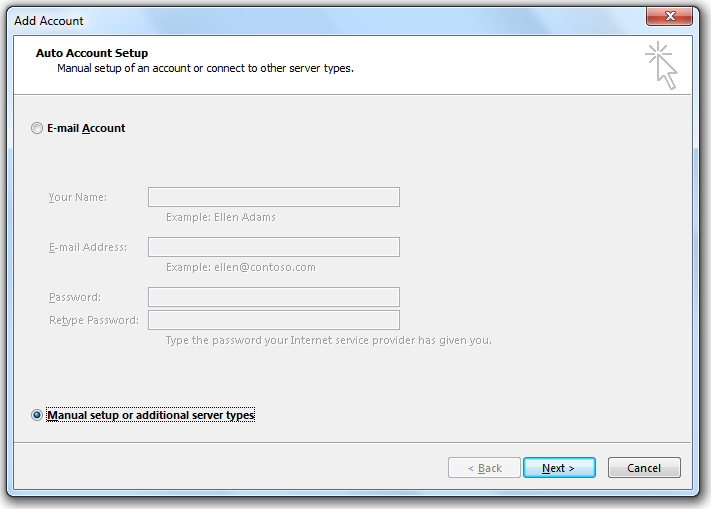 Select the Manually configure server settings or additional server types check box. Click the Internet Email bubble. Your Name: This is the display you want to use, such as Joe Smith. 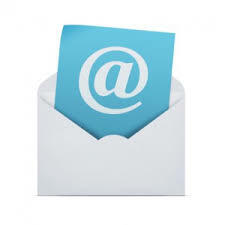 Email Address: This is your full email address, such as username@gmail.com. Incoming Server: Contact your ISP or hosting company for this setting. It will be something like pop.gmail.com. Outgoing Mail Server: Contact your ISP or hosting company for this setting. It will be something like smtp.gmail.com. Username: This is your full email address, such as username@gmail.com. Password: This is your email account password. If your mail server requires SMTP authentication, follow these steps. Select the My Outgoing Server requires SMTP Authentication checkbox. This is the window where you’ll enter most of your account settings. Change the “Outgoing server (SMTP)” port number from “25” to 465. Change the “Use the following type of encrypted connection” setting to SSL. Click Next. Outlook will test the settings, they should tell you that “all tests completed successfully”. Click start and select Outlook 2013 or Outlook 2016 for the programs list. Outlook 2013 and 2016 is usually installed in the latest Windows Operating systems like Windows 8.1 or Windows 10. Most of the Outlook settings remain the same like previous email programs. The look and feel of the Outlook program are completely changed. It appears like a lighter version of the Webmail as a desktop client. It includes all the advanced features of an Outlook program. Click start and search in Cortona or a search console for name Outlook. Right-click and add it to the taskbar to create a shortcut. The direct configuration of Gmail settings for Outlook is IMAP. We just need to enter the name and email to configure and start using the program. It asks you to type your name, email, and password and another selection are to do a manual setup. 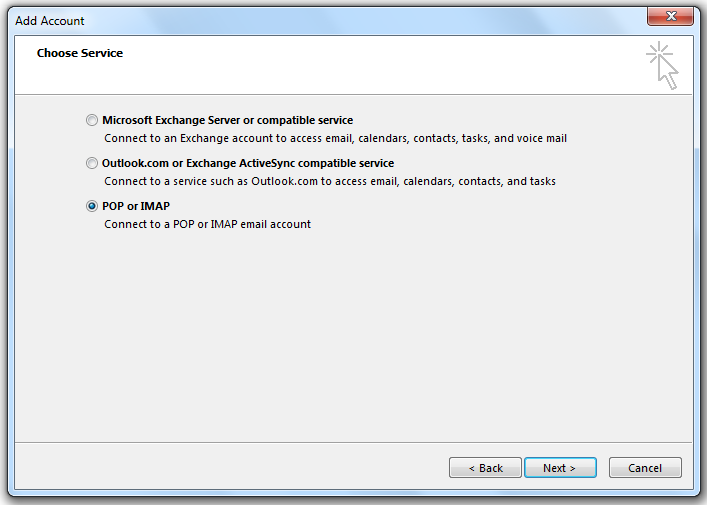 outlook.com or Exchange ActiveSync compatible device. Choose the selection to connect to a pop account and click next. It allows you to download email messages on your computer and read them even though when you are offline. when you use POP3 to connect to your email account, messages are usually downloaded locally and removed from the servers. 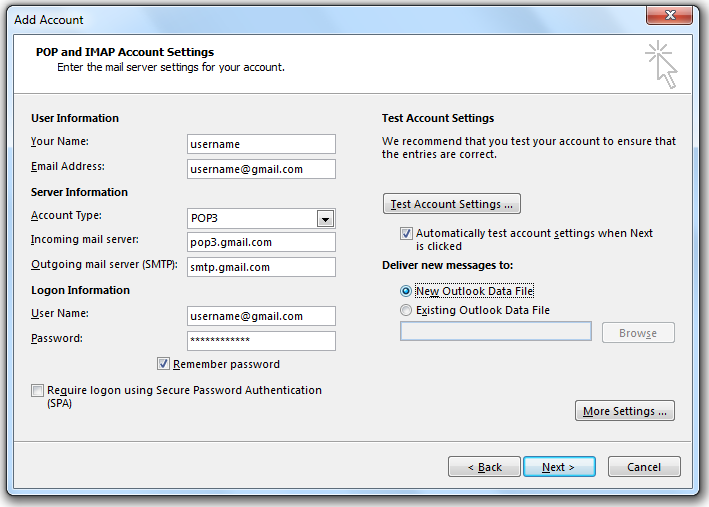 pop3 Gmail server settings for outlook are pop3.gmail.com for an incoming mail server and smtp.gmail.com for outgoing server. It allows reading emails in configure an email account on multiple devices. If you want to check Gmail on phone as well as Gmail on the computer, the best way to configure is using Gmail server settings for IMAP in Outlook. Login information asks for email address and password. There is an option to select More settings which allows you to configure Outgoing server settings. Select a checkbox to ensure you are using the same username and password for your email for sending emails. This option is provided in addition because some of the secured email service providers tend to use different access credentials for sending emails. Port 995 – It is the port you need to use when you want to connect using POP3 securely. IMAP settings use the following ports. port 25 – it is used for outgoing mail server port. outgoing server settings used port 465 for the secure mail server.